That’s what the Austin Packers will be tomorrow night when they square off against top-ranked Minneapolis DeLaSalle. Austin is 30-0 and therefore obviously hasn’t lost all season. 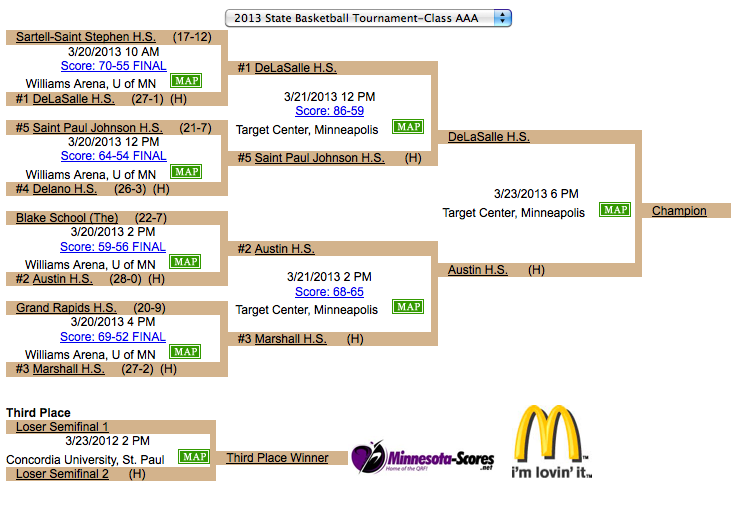 DeLaSalle is 28-1 and hasn’t lost to any team from Minnesota. The Islanders’ only loss this year was to a top team from Kansas. And considering that they are the defending Class AAA state champions, their winning streak against Minnesota competition is now 39 games, dating back to February 7, 2012. When Austin last came to the state tournament with an undefeated team, it was the 1981 Packers (22-0) facing another undefeated defending state champion from Minneapolis, the North Polars. North was riding a 41-game winning streak and was heavily favored. The next day, Austin beat another undefeated team, Chaska, to advance to the championship game against Anoka. The Packers lost that game and finished 24-1. DeLaSalle obviously has a great team and deserves its top ranking. The 2013 Packers have faced lots of challenges, and this will be the biggest one. The 1981 Packers join all Austin alumni and the whole community in support of the Packers and in hoping they have their best game yet. The Prep45.com archive of the Packers’ overtime win over Marshall is now available. Since this game was on TV, we can show you the whole thing instead of just the highlights. Click to watch. 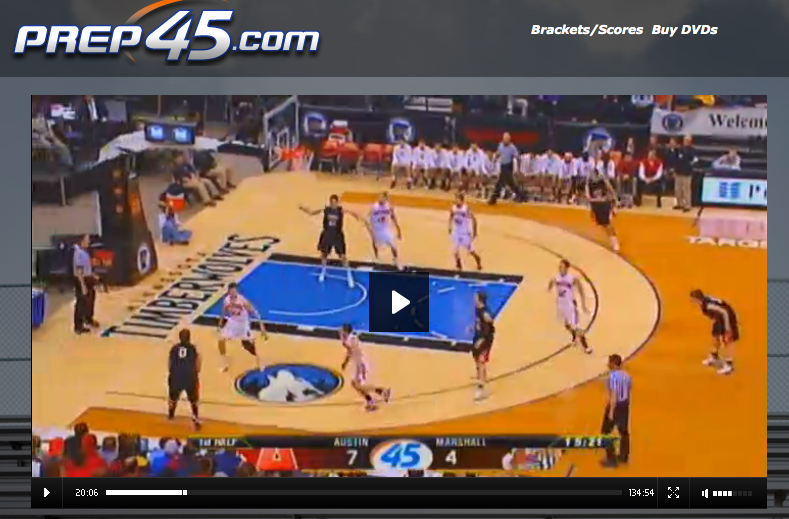 You also may buy a DVD of the game on Prep45.com. 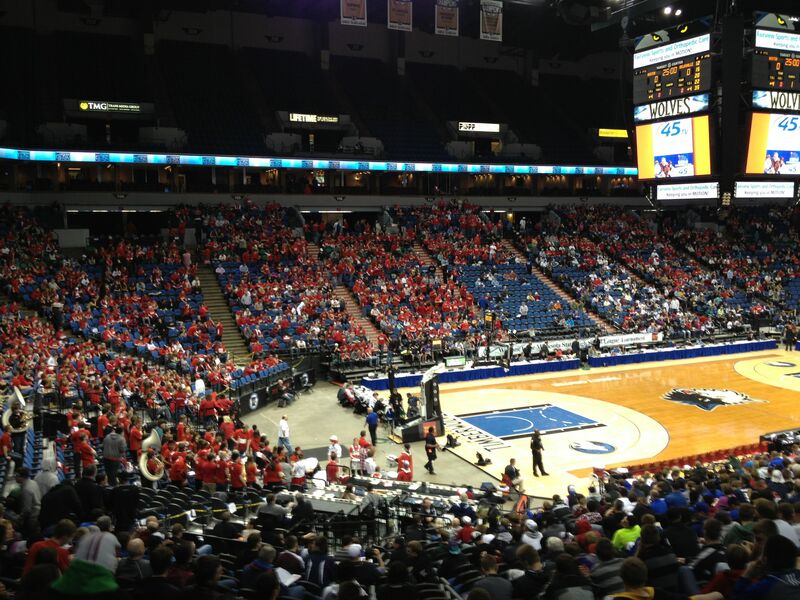 Share Your Packer State Tournament Photos! Our Austin Packer Fast Break Club page on Facebook has some great photos from the Packers’ quarterfinal win over The Blake School thanks to Rhonda Besel. 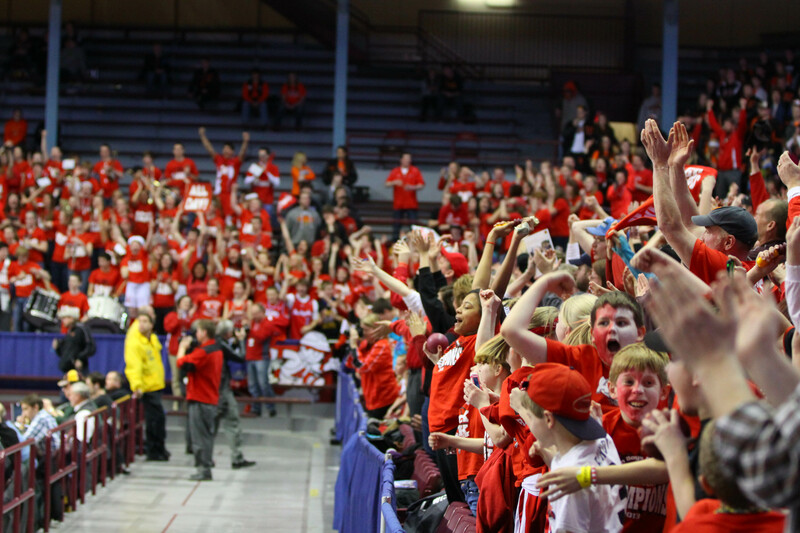 Did you take photos at the State Tournament? Upload them to the Packer Fast Break Club page and share your Packer Pride with the world or Tweet them using the #PackNation tag! 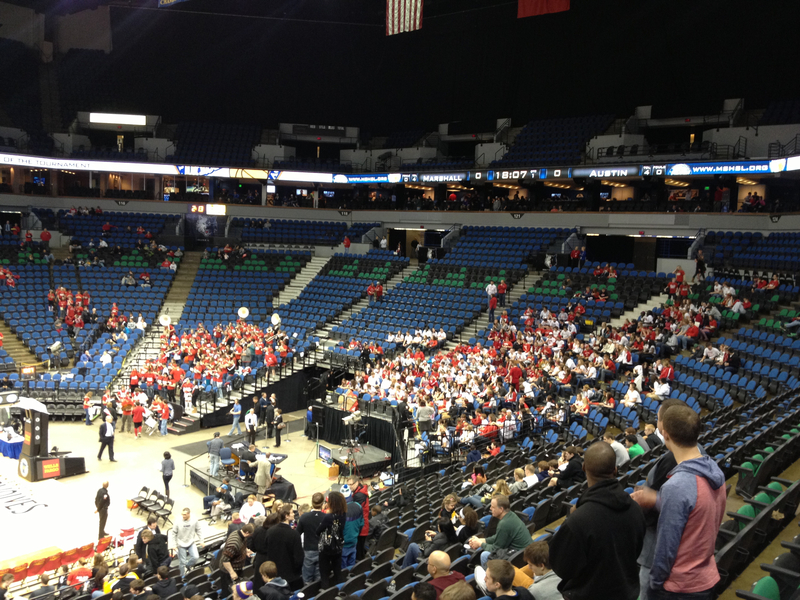 With its 68-65 overtime win against Marshall today, the Austin Packers earned a spot in the Minnesota Class AAA Boys Basketball Championship game Saturday night at 6 p.m. against Minneapolis DeLaSalle at Target Center. See the stories in the Austin Daily Herald, Rochester Post-Bulletin and Minneapolis Star Tribune. Zach Wessels led the Packers with 20 points, while Tom Aase added 16, Ajuda Nywesh 12, Joe Aase and Collin Weisert 8 each and Bret Lukes 4. When the archive from the TV broadcast is available for streaming (or DVD purchase) we will do another post with the link.